State President Nguyen Minh Triet pledged to maintain all-round relations with neighbour Cambodia while receiving Deputy Prime Minister Gen. Tea Banh of Cambodia in Hanoi on March 25. The State leader told Tea Banh, who doubles as Minister of Defence, that the Party, State and people of Vietnam have always prioritised the task of working together with Laos and Cambodia for a developed Indochinese peninsular. Gen. 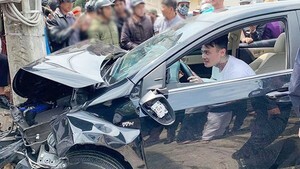 Tea Banh thanked Vietnam for its great assistance in the past struggle to overthrow the Pol Pot genocidal regime and the current national development. “The mature of the Cambodian Defence Ministry today is partially thanks to experiences drawn from Vietnamese experts on voluntary missions,” the Cambodian Defence Minister said. He also called on the Vietnamese Defence Ministry to assist and share experiences in maintaining security and public order in an effort to ensure Cambodia’s legislative elections, scheduled for July, are a success. 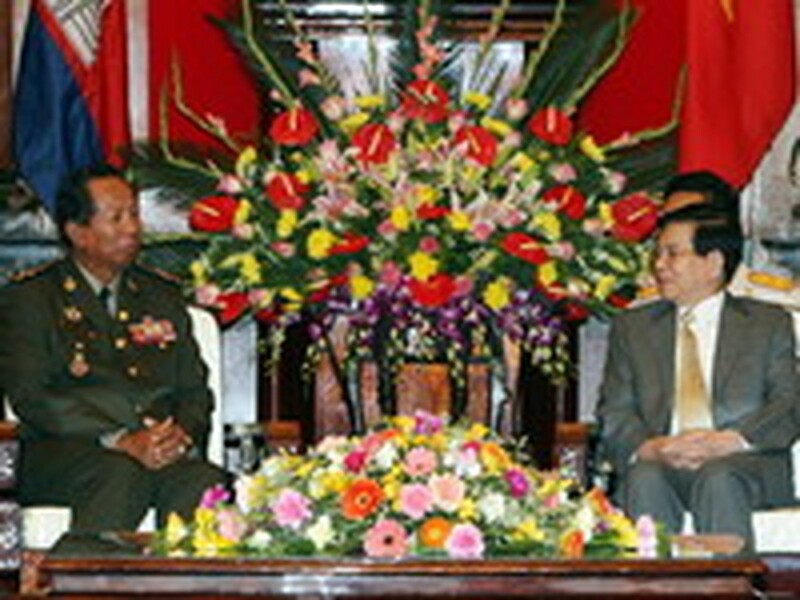 Tea Banh began a four-day official visit to Viet Nam on March 24 at the invitation of Defence Minister Gen. Phung Quang Thanh. The Cambodian high-level military delegation embarked on talks with a host delegation led by Defence Minister Gen. Phung Quang Thanh immediately after a welcoming ceremony. The two sides agreed to continue joint patrols at sea and exchange information on search and rescue operations. Talks also focused on the work of locating and repatriating remains of Vietnamese volunteers who died on Cambodian soil.